Every day is different, and so is every genre of music. Sometimes you want driving beats to provide your day with rhythm, other times you need quiet sounds to help you relax and unwind--at home or on the go, in loud or in quiet environments. The requirements often change hour to hour. beyerdynamic, the audio specialist from Heilbronn, Germany, has developed the perfect headphone for this kind of flexible lifestyle: Custom One Pro lets you listen to music interactively. The Custom One Pro changes its sound characteristics in the blink of an eye--from clear analytical sound to booming colorful beats and back in less than a second. The style is just as flexible: The style kits, which are available as accessories (sold separately), make it easy to give your headphones a new look with just a few quick movements. 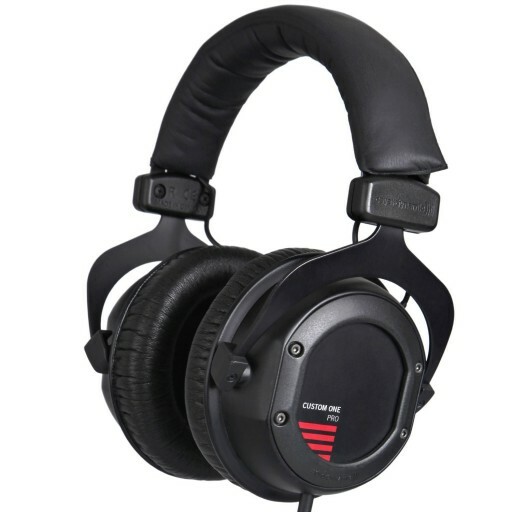 You can change your headphone's look at any time, even long after the initial purchase. The Custom One Pro offers not only personalized sound, but also personalized design. Choose from hundreds of designs and easily change many parts any time (sold separately). The Custom One Pro can be a different headphone every day. But more than this, you can be the designer yourself and create your own personal headphone. Plus, the rings, covers and cushions on the ear pads are interchangeable, as is the cushioned headband--the user can switch the parts easily by hand in just a few simple moves.